It's funny how there are certain things you never forget. Many of us never forget our first kiss, first car, and a lot of other firsts. In my case, I'll never forget a few firsts: The first Apple I ever used, the first Mac I ever used, and the first Mac I ever owned. Ahhh, memories. 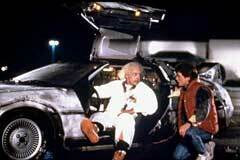 Let's take a little ride in the ol' De Lorean and travel back to 1987. 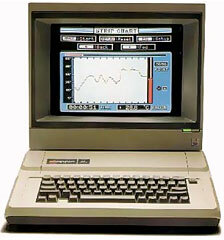 Many were privileged to get to use an Apple IIe in school, and even at home. Many had green screens, and you were really something if you had a color screen. The Apple II predated the Macintosh/Windows era of computing we now know. In the case of the Apple IIe, the keyboard, like the II and II+, was built into the computer. You had one or two 5-1/4" floppy drives, which made their own chugging sound when in the process of reading and writing to the disk. There were no menus, no mice - none of that fancy GUI stuff. You put the disk in, flip the switch in the back, and in about a minute your program would load. I spent many a happy hour with the Muncher series from MECC, the Oregon Trail (which I'm still trying to find a copy of for my IIe), Odell Lake, and many other cool programs. It was the first computer I ever used, and it solidified my interest in Apple and their common sense way of computing. 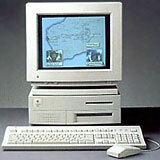 My first experience with the Mac came in 1999, when my good friend Sean gave me his Quadra 650 running System 7.5.3. What a wonderful Mac that was! Stable, user-friendly, it was a dream compared to Windows 98. This experience led me to purchase my first Mac, an Indigo iMac in December of 2000, which I still have. That Mac has served me well in 7 years time. Now I turn the mic over to you, the readers of Low End Mac. What was your first Mac? What drew you to the Mac? I'll be doing interviews with everyday Mac users, and I'd like to interview you! Send me an email to thomas (at) lowendmac (dot) com if you'd like to be interviewed. But most of all, send your stories to me, and with your permission, I'll include them in future Welcome to Macintosh columns. This article copyright ©2008 by Tommy Thomas. Low End Mac is an independent publication and has not been authorized, sponsored, or otherwise approved by Apple Inc. Opinions expressed are those of their authors and may not reflect the opinion of Cobweb Publishing. Advice is presented in good faith, but what works for one may not work for all.